Relight Project is an art project and platform to set up to generate dialogue among people from different walks of life, to figure out ways to, literally or symbolically, re-light the artwork, and to active the artwork as a device to question the role of art in wider society. In 2011, to pay respect to the victims of the 3.11 disaster, artist Tatsuo MIYAJIMA turned off his public artwork entitled “Counter Void” whose subject and purpose is to question “life and death” and which had illuminated the Keyakizaka area of the Roppongi neighborhood of Tokyo. Since it was turned off at the request of the artist on March 13th, 2011, it has served as a memorial to the souls of the victims. Since then, it seems as though the unbearable feelings of those days following the Great East Japan earthquake disaster have faded from memory. There have been fewer and fewer people engaging in the recovery efforts in the devastated areas, and the country has moved forward as though the influence of the 3.11 disaster has completely passed. Relight Project is made possible by Tokyo Artpoint Project an nongovernmental organization that pursues art projects with local community and citizen involvement as a way to foster an environment where everyone can be actively engaged in culture and to create and disseminate Tokyo’s charm. “Counter Void” (collection of TV Asahi/2003) is a public artwork permanently displayed in Roppongi Hills. 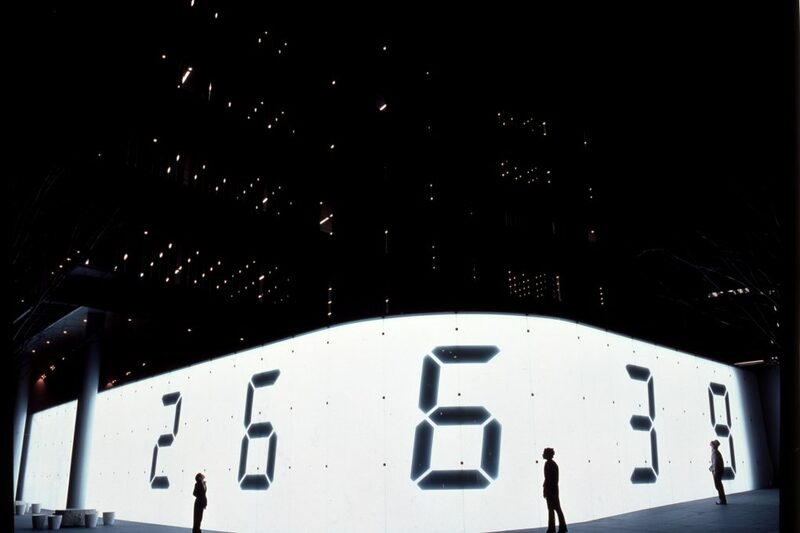 The white wall behind the digital counters symbolize “life,” and the black digital counters suggest “death.” Responding the 3.11 disaster in 2011, the artist, Tatsuo MIYAJIMA, decided to shut down the artwork by turning off the illumination.